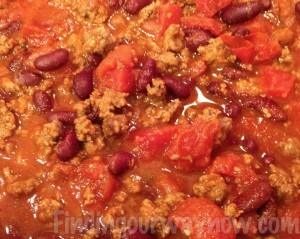 Aw, who doesn’t love a great bowl of a super easy chili now and then. If you haven’t noticed, I am always in search of really good and super easy recipes that will reduce the time it takes to cook. That gives me more time to enjoy my friend and family when we have them over for a meal. This super easy chili is perfect for all those reasons. In fact, we made a triple batch for Super Bowl for that very reason. I found this recipe on the back of Johnny’s Lazy J Chili Mix. Once we tried it, this recipe then became one of our very favorite “go to” recipes. 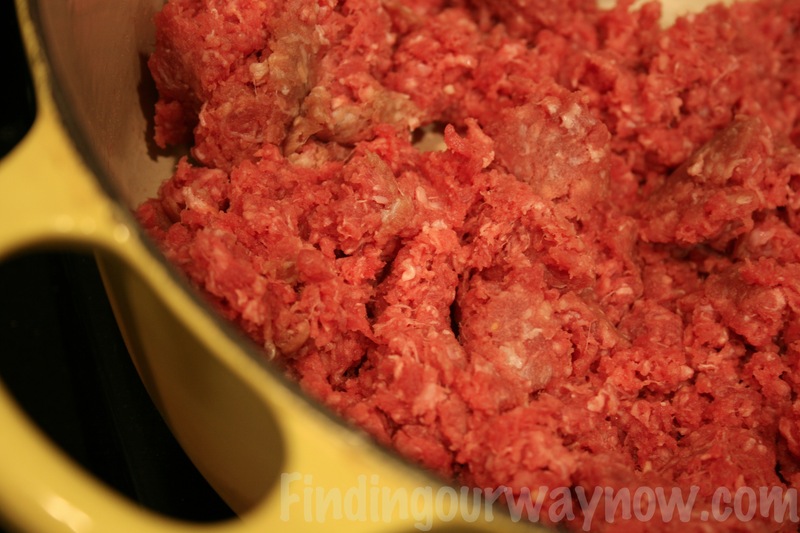 Brown the ground beef in a large dutch oven and then drain off the fat. Add the tomato sauce, diced tomatoes, kidney beans, spicy V8 juice and chili mix. Bring to a boil, cover and reduce to a simmer for 10 minutes. To serve, top with chopped onion, shredded cheddar cheese, sour cream and a bit of cilantro. Notes: The longer you simmer the chili, the thicker it gets. This recipe can easily be doubled or tripled depending on the size of the crowd. If you like it more or less spicy, adjust the chili mix to taste. You can substitute ground turkey in place of the ground beef if desired. You can use other kinds of chili mix, but we haven’t found them to be to our taste. Unfortunately, you can only buy Johnny’s Lazy, Chili Mix, online but it is worth getting. We love his recipe, in particular on a cold winter night. The truth is we have it all the time because we can make it at the drop of a hat. 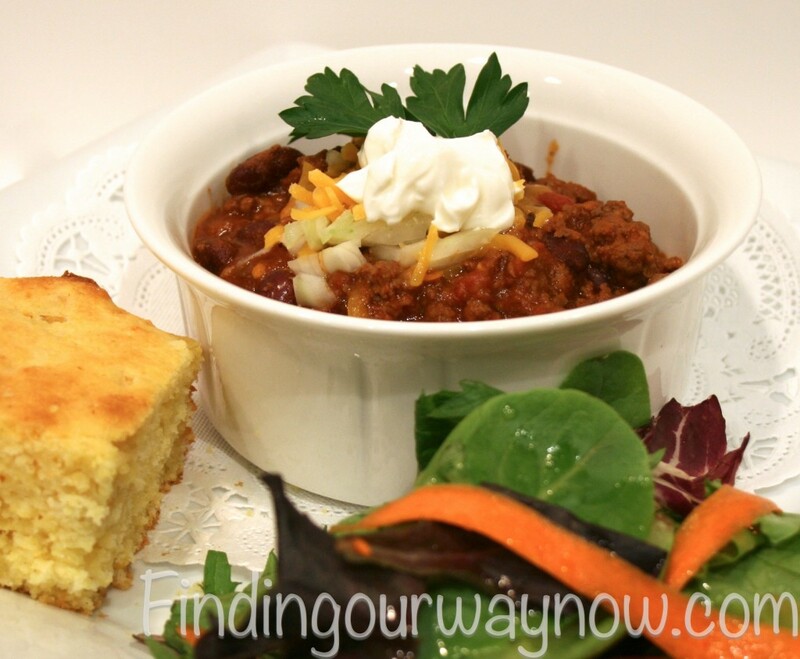 This chili goes especially well with a good cornbread or my Homemade Freezer Biscuits, a green salad and an excellent Pinot Noir, Zinfandel or a cold Beer. Enjoy.